We provide automation systems. services, recommendations, and preventive maintenance for commercial, industrial, government and military facilities. 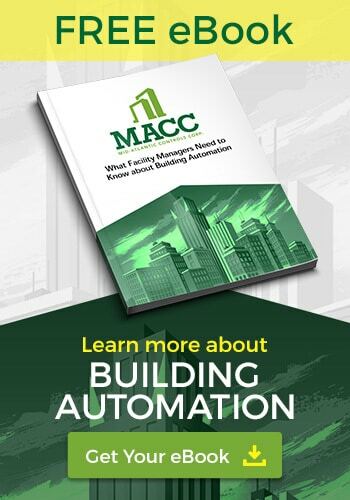 Working with such a wide array of clients means that we are often adapting our building automation system offerings. Not every clients BAS system needs are the same so it is important for us to accommodate your specific BAS system needs regardless of your phase of planning or implementation. Technology has allowed for seamless integration of various facets within a building. Now you can control heating, ventilation, air conditioning, lights, and countless other equipment from a single panel. 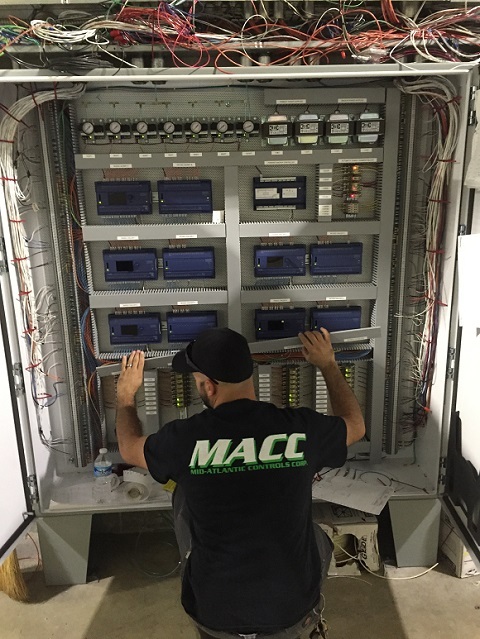 By choosing MACC as your system integrator or building automation provider you are choosing a team of industry experts. We have a wide range of capabilities and specialty experience to ensure that all of your requirements are met on time. Once the BAS system is in and accepted we offer our clients a maintenance and service plan. The bas system service plan is customized based on your specific operational needs, it is not required but is highly encouraged. Many owners are often faced with the decision to upgrade or replace their current automation system. Whether it is due to progressing technology or developing operation needs, we can help you determine what automation system will best suit your needs. We have experience with almost every building automation system that has been used over the past 30 years. This allows us to offer some confident advice on how you can move forward from your present system.